This plan will include a benchmark running test to establish or update your training zones. You'll also receive a training zone calculator as well as step by step instructions on how to update your ranges in Training Peaks. A typical week will include four runs (longest peaks at 8 miles) two days of interval training, two strength training sessions, two foam rolling sessions, and two cross-training day. There will be a gradual build in duration and intensity for two to three weeks, and then an easier week to allow for recovery. Each training plan will include access to the training zone calculators as well as a Training Manual. The training manual will include instructions on how to use your zones (RPE, HR, pace), how to perform benchmark testing, and access to video descriptions of the drills and exercises, and tips on race day and workout hydration and nutrition. Warm up with 5-10 minutes of cardio. This can be on bike, elliptical, rower, etc. Foam roll each area first and then stretch. Hold stretches 30-90 sec each. Also spend time working on any other areas that you feel need attention. 30 min Running TT--cover as much distance as you can! Hold stretches 30-90 sec each. 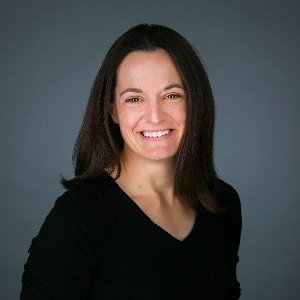 Carrie is a physical therapist and USA Triathlon certified coach in Atlanta, GA. She specializes in working with triathletes and runners to improve race performance from sprint to Ironman distance as well as those looking for injury prevention and return to sport. Carrie has over 10 years of experience working with triathletes and also offers metabolic testing for the bike and run, movement assessments, run video analysis and physical therapy and craniosacral therapy services.